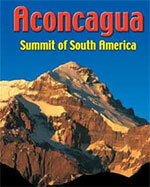 Trips and expeditions to Aconcagua, the summit of South America. The seven summits, the highest peaks of the 7 continents! Trips, Statistics & information! 7summits.com offers fully serviced trips from Mendoza, Argentina on the Normal route and the Polish traverse route. Below are the prices and dates for the upcoming 2016/2017 season. Bookings: sign up using the bookingform or email us for special requests! Aconcagua can be climbed without any technical experience, but should not be underestimated. General mountaineering and altitude experience are certainly needed to avoid injury or death. 7summits.com offer fully serviced and guided trip up the 3 most used routes. All trips have 100% guaranteed departure! We have never canceled an expedition! Get 10% discount when booked and advance payment paid before 15th of August! Note that the technical Polish Glacier (the iceclimb) is only offered as a private climb for max 3 climbers per guide, see below. The above are fixed dates, but we can organize private groups as well, see below. Then you can choose your own departure dates and length can be adjusted where needed. If your party is large enough, it might even be cheaper! The prices below are indicative, and might be adjusted to fully take your wishes and luxury level into account (adding services, days, Hotelnights etc). All prices in USD and subject to change, though once booked you will never pay for price increases. *The Polish Traverse for private groups now also includes a roundtrip around Aconcagua: Up the Polish Traverse, down the Normal route! Contact us for your private bookingform. Note that the Normal Route for private groups is 18 days, the Polish Traverse route for private groups is 19 days. Both routes on group departures (fixed dates above) are 18 days. Note that the standard programs might be too fast for some people. If you acclimatise slowly, then you can book the Extra Acclimatisation Program, in which you start 3 days before the main group (basically a private trip). This gives you extra time to acclimatise in Basecamp (3 extra nights including a training ascent), where the rest meets you. Costs depend on EAP group size. Even if you book alone, if others book the same EAP, you will get the discount! 1 climber only: $495 per person (Normal route or Traverse). Note that if there are less than 4 passengers in the EAP group, the transportation from Mendoza to Puente del Inca will be in the regular bus. Below are approximate local prices for renting gear. Note that these prices can fluctuate, depending on available gear. We always recommend that you bring as much as your own gear as possible: for example boots that not fit well can end your expedition! If you did not bring all needed gear, or if your guide thinks your gear is inadequate (it will be checked upon arrival), he will accompany you to the gear rental stores. See below for more details about the starting and end dates, so you can plan your trip better. It might be wise to arrive a day earlier in Mendoza: it is a very nice city, there are many things to see and do, you can shop for snacks and mountain gear and it will take a lot of stress off when your flight or luggage is delayed (which is very possible as many climbers take many connections). We can book you in the same 4**** hotel you will be staying in as part of our program (prices probably $120 per room per night, single or double), or you can book a cheaper hotel online (there are many hostels and Hotels and most can be found and booked online). 1 climber only: $580 per person (Normal route or Traverse). During these days you will climb some mountains (about 4.000 m. heights) with one of our guides. This way, you will increase you acclimatization process. (B, PL, D). If the EAP group is made up of less than 3 people, the transfer from Mendoza to Puente del Inca will be in the regular bus. But if the EAP group is made up of more than 4 people, we will pick you up from your hotel and take you to Puente Del Inca in our own vehicles. You will spend three nights in this place, in rooms for three to six people (according to the number of members in the EAP group) and with private toilet. Complete breakfasts, lunches (or packed lunches) and dinners in the restaurant of the hostel are also included. Our mountain guides are qualified professionals of the AAGM (Argentinean Association of Mountain Guides) and the EPGAMT (School of High Mountain and Trekking Guides). The last qualification is the result of 3 years of study. One guide will accompany the EAP group during these days. The guide´s equipment includes: VHF radio, a first aid kit, complete with the appropriate drugs for altitude sickness, ropes, an altimeter, and professional clothing and equipment. All this will provide security and comfort. Extra expenses like food or drinks separate from those described in the itinerary should be paid by you, as they are not included.